Our aim has always been to grow and provide the finest quality trees. As we walk through the crops we love to see the strong stems, good root structure and excellent color. 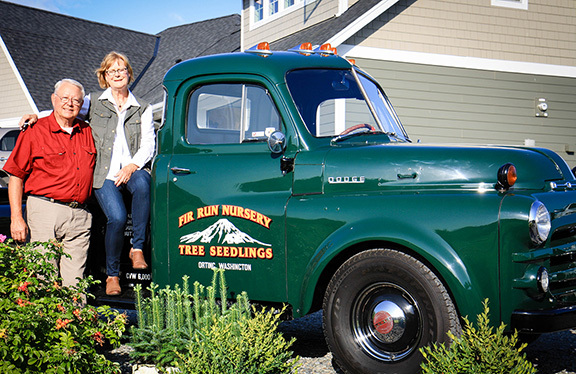 All the seeds we collect and use are from the Pacific Northwest from reputable seed producers. This way you can be assured that the tree or shrub you plant is going to be native to this area. 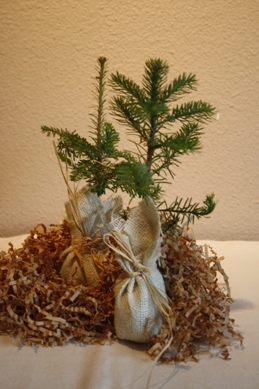 Individually wrapped trees can be shipped and planted year round with success. Many varieties available year round. With his University of Washington degree in forest management Mike decided to convert our chicken coop into a greenhouse. The first season was a disaster most of the seedlings Mike planted died. 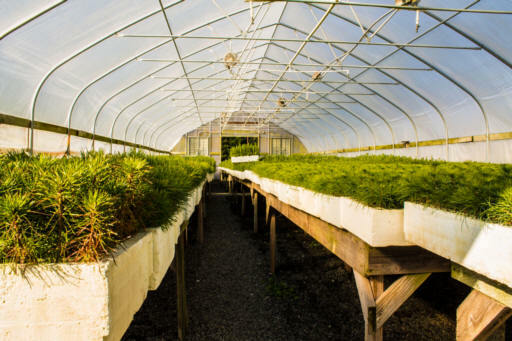 Determined to have a successful season we built a proper greenhouse, planted 25,000 seedlings for St. Regis Paper Co. (no longer in business) and succeeded with our second growing season which was the beginning of Fir Run Nursery. Over the years we have had successes and challenges always learning from them both. We enjoy growing new varieties and welcome feedback from our customers. 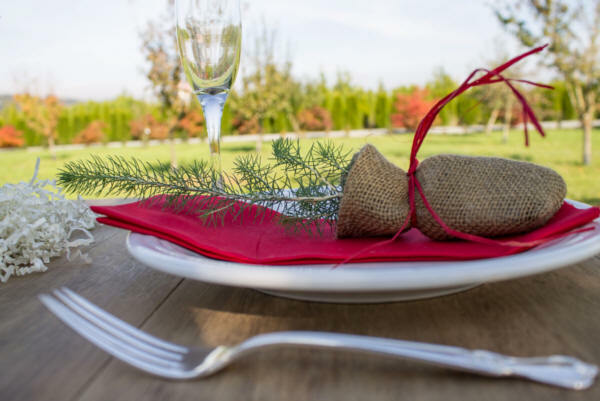 Over the years we have provided seedlings for Weyerhaeuser, Starbucks, Disney, Ace Hardware, Microsoft major timber companies, lumber companies, schools and many other types of businesses. Our motto is we guarantee our seedlings in your hands fresher and faster. 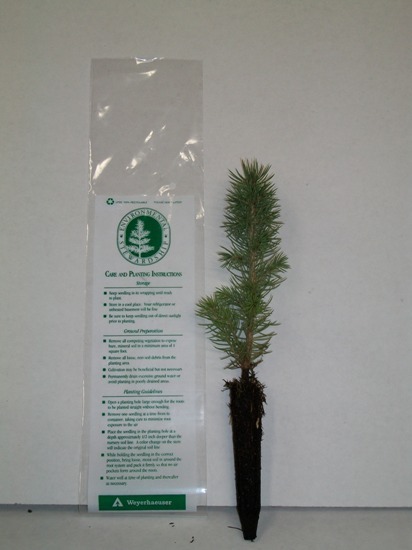 Our seedlings are grown from seeds collected by reputable seed dealers. We guarantee the source. State Dept. of Agriculture and meet industry standards. We can ship outside our area. We cannot guarantee seedlings that are grown for our area but planted in other parts of the country. That is not to say native seedlings won’t do well but it is impossible for us to know all soil and environmental conditions. 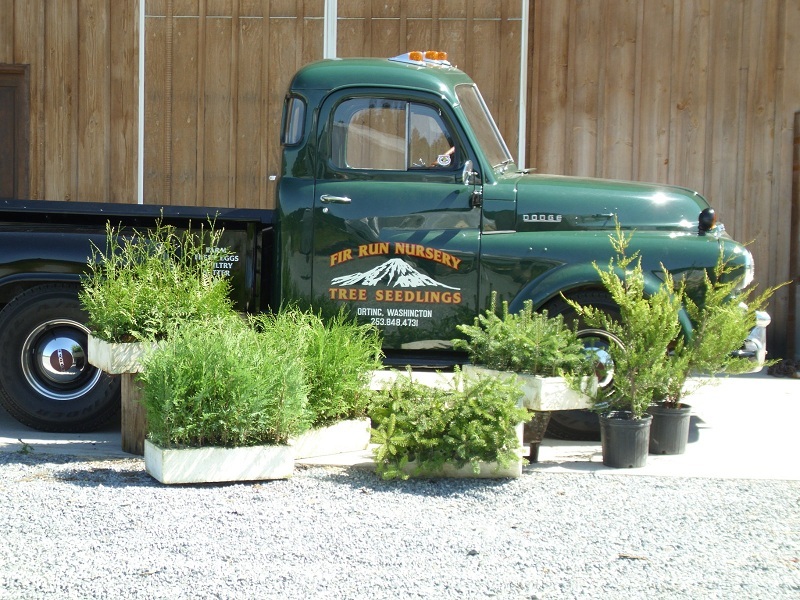 We really enjoy talking to our customers and answering any of your tree related questions.